Summer days stretched on forever. A day began when the sun came up and ended way past dark. Freedom looked like running around the neighborhood with friends, playing kick the can, and swimming at the local YMCA. It was easy to savor the here and now as a child growing up. My sense of time was basically non-existent. Being present in what was happening in the moment resulted in easy, carefree days. Childhood seemed to stretch on as far as a country mile. Worries about the future or letting the past control my future were minimal. Living day to day kept me in the “now” and today I know that is exactly where God wants me to be. Even when getting from here to there raised the question “are we there yet”?, I still learned to savor the here and now as I enjoyed the view out of the station wagon’s windows. Focusing on the “what ifs, why nots, or how comes”, takes our eyes off the One who is always able to do immeasurably more than we can imagine. (Ephesians 3:20 NIV) Our vision is so centered on everything but the God, who meets us in our messiness, that we lose touch with the reality that holds Him and His deep love for us. 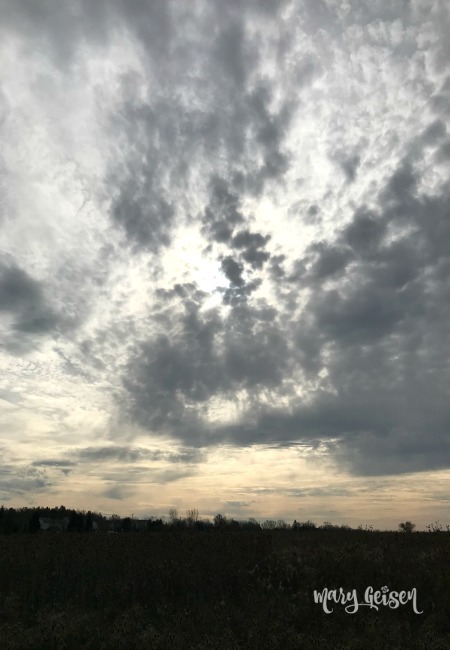 But if you and I can just quiet down for a second, give our runaway minds a short break in the action, we may just feel God blowing away the clutter of our confused mental state, leaving us one simple idea to focus on. NOW. If I spend time looking back, I miss what is happening right in front of me. When I look forward figuring out what’s next, I miss the details of what God is trying to teach me. How do I work on being present in the now if my eyes are distracted from what is really important? If you believe God is always present, the “now” looks like a gift God is waiting for you to open. Later moves you to the future and daydreaming of “what if” takes you to the past. But, now, is God walking with you right where you are. He meets you in your overwhelmed state and takes your hand to reassure you it will be okay. Take time to identify the “it” that is sharing space with my “now.” What continues to hold me back? Recognize and open the gift of God’s presence. Remind myself God is able. Hold the promise of who God is as my truth. God’s present ability overcomes our future reality. The gift He has for us presents itself fully when our eyes and hearts are open to receiving it. The “Now” we choose to forget is better than we imagined when we invite God into our brokenness and joy. He is the link between possible and impossible. I am walking with God and holding onto the truth that God is always able to do immeasurably more than we can imagine. Will you walk with me? 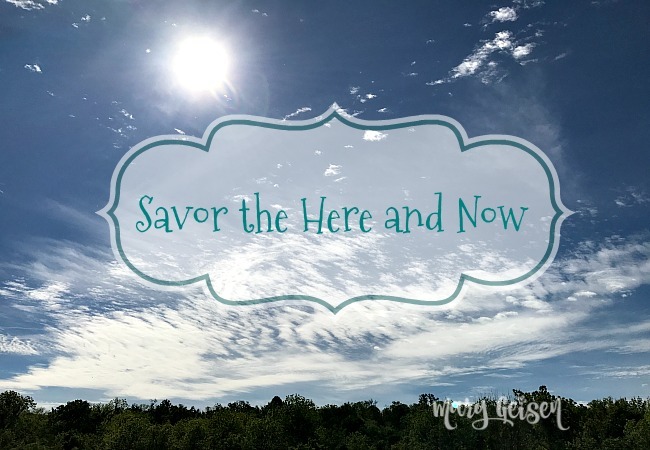 1 Comment on "Savor the Here and Now"